As 2017 draws to a close, the major takeaway from this non-traditional ‘honeymoon’ year for President Donald Trump can be summarized by a more potent political toxicity and a deepening of America’s racial divide. In the past year we’ve witnessed Trump’s blatant, shameless race-baiting and racism. This includes reviving his birther campaign; his outrageous Charlottesville behavior; continued enabling and/or outright defending Neo-Nazi’s, white supremacists, David Duke and the KKK; attacks on black NFL players; disrespecting a black Gold Star mother and widow; and his insensitivity over black victims of police brutality and his general disdain for the Black Lives Matter movement. And let’s not forget his attacks on immigrants, Muslims, Hispanics and Mexicans. 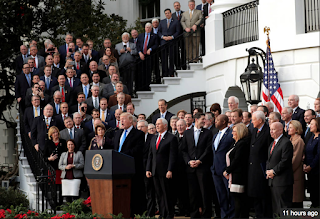 This week we had front row seats to Trump’s virtually all-white, all-male White House masturbatory tax bill celebration, which highlighted his and the GOP’s utter glee in shafting the poor, middle class, sick, elderly and minorities so the rich and corporations could get tremendous permanent tax-cuts that neither they or the economy need. It shined a blinding spotlight on the massive diversity problem of this administration and the Republican Party. The statistics are staggering. While 37% of Democrats in the House and Senate are non-white, that number falls to under 5% for the GOP. And while the Democratic Party continues to broadening its tent even further, all of the GOP’s freshman Congressmen this year are white. The story doesn’t change much when it comes to gender. Women comprise 37% of Democratic Senate seats and only 10% of Republicans’. Same for the House, where women hold a third of the Democrat seats while less than 9% are Republican. Diversity in Trump’s administration is equally lacking. Just 17% of cabinet members are non-white. And just 20% are women. By comparison, the numbers for men of color or women jump to 64% and 45% in Barack Obama's and George W. Bush’s initial cabinets respectively. 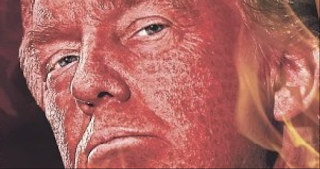 Making matters worse, most of Trump’s Summer interns were white, as are 90% of his Federal judicial nominees, the highest in decades, according to the Associated Press. Just 20% of his judicial appointments have been women. 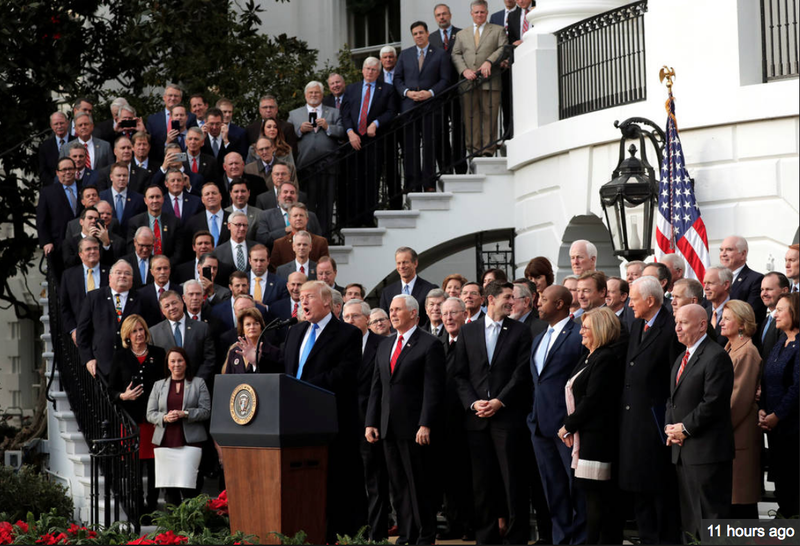 In short, while America is getting more diverse, and while the Democratic Party is reflecting this ethnic and gender evolution in its House and Senate caucuses, the Republican party just keeps getting whiter and dude-r. And in the process, the needs of minorities and women, and the injustices committed against them every day, are being increasingly ignored, and worse, enabled. To be sure, the Republican Party has a major problem on its hands, as evidenced by the stunning results of several recent special elections. There’s a reason why 98% of black women who voted in the Alabama Senate election voted for the Democrat, Doug Jones. And it’s not because they, or an overwhelming majority of minorities, feel at home in the GOP. 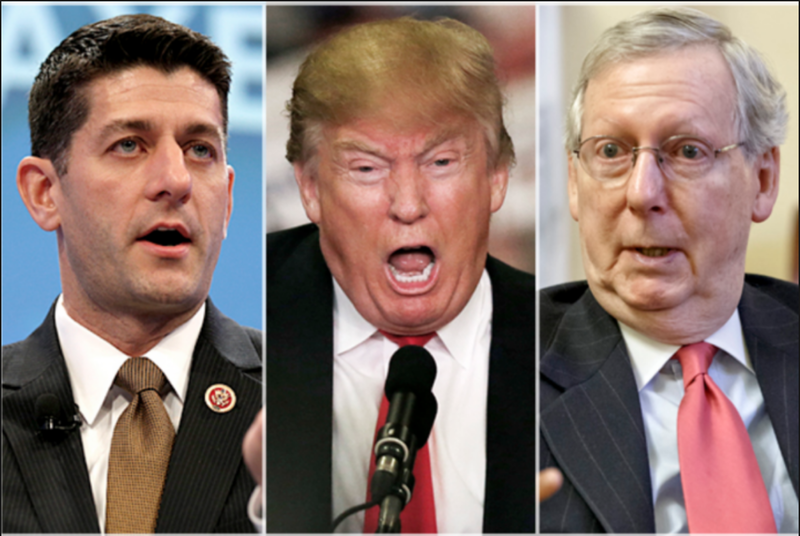 All of which spells trouble for the Republican Party in next year’s midterm elections. The latest polling indicates a massive blue wave that’s sweeping across the nation. Americans, by a 56%-38% margin, say they prefer Congress to be controlled by Democrats. This momentum to the left is fueled in large part by minorities, women, gays, independents, college-grads, millennials, seniors and suburbanites. Coupled with Trump’s abysmal and rapidly declining approval numbers, this shift in voter sentiment could result in a Democratic landslide come November. No wonder the GOP leadership is in a state of panic. Talk to any Democrat and two things are certain to be heard: (1) “I hate Donald Trump” and (2) “we’re banking on Robert Mueller to take him down.” While special prosecutor Mueller’s RussiaGate investigation may ultimately prove collusion and/or obstruction of justice, the very likelihood is that this Republican-controlled Congress is simply gonna say, “Hey thanks Bob, we’ll take it all under advisement”...and then walk away and throw the file in the trash. So my advice to Democrats is simple: don’t bank on Mueller, Congress or anyone but yourselves. Just vote. Voters have all the power. The blue tsunami that’s been crashing against special-election shorelines should give Democrats more than just hope. It’s a very strong indicator of massive voter anger, enthusiasm and engagement, all of which could result in a landslide next November. Stunning victories in Washington, New Jersey, Virginia and Alabama have created sheer panic in the GOP. And even where Democrats lost, i.e. Kansas, Georgia and South Carolina, the margins have been shockingly small compared to prior elections, giving the left momentum in states where they normally wouldn’t have a shot in hell. Even by conservative estimates, it’s already looking pretty bleak for the GOP and we still have another ten months of Crazytown. To be sure, it’s quite possible Trump could be impeached, removed through the 25th Amendment or he could resign. We might even see indictments for him and his family. But assuming justice will be served this way is not just ill-advised and impractical, it could shatter bleeding liberal hearts from coast-to-coast. Democrats cannot control what happens to Trump within the highly complicated, bureaucratic and politically-charged legislative and judicial landscape. But they can effect tremendous, historic change by simply getting out the vote. The beauty of America’s Democracy is that when those curtains are drawn at the polling booth, everyone is equal. The division of power is split evenly across all socioeconomic and racial groups. It’s the only day of the year when janitors and billionaires have the exact same clout and influence. Take Alabama, the reddest state in the nation which turned blue for the first time in 25 years, which proved how incredible our Democracy can be when voters take their responsibility and power seriously. Doug Jones’s Senate victory was fueled in large part by an Election Day swarm of women, blacks, millennials, college grads and suburbanites. Throw in Hispanics, gays, independents and fed-up moderate Republicans (i.e folks like MSNBC’s Joe Scarborough) and a Democratic landslide in next year’s midterms seems quite plausible. To say it’ll be a referendum on Trump and his deplorable elitist swamp-dwellers is a gross understatement. My money’s on the left. So listen up, Democrats. Stop fantasizing of the day you see Trump taken away in handcuffs because Super MuellerMan is gonna save the day. Focus instead on the more tangible, direct power you have. The power of your vote. The absolute power no amount of lies, deceit and spin can take away from you. You wanna see Trump impeached? You wanna put an end to this 1950’s-era backward ugliness? Do everything humanly possible to ensure that Democrats win both the House and Senate next year. Alabama is just the tip of the iceberg. The way things are going with Trump and the GOP, it’s conceivable the entire nation could turn blue. And as Election Day approaches next year, please remind every Democrat you know of what happened in Virginia this week: Republicans lost control of the state legislature for the first time in 17 years because of one single vote. Just one vote can change government. Every...vote...counts. Congratulations! And let me start by apologizing. I am SO sorry! You were right! I’m done! 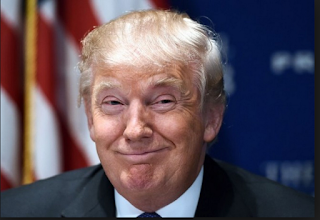 I have concluded that there was no collusion or obstruction of justice. This whole sordid witch-hunt “Russia thing” was a total waste of taxpayer money and time, especially mine. You have NO idea how glad I am that it’s finally over. Phew! You are not only a totally legitimate president, you’re also the best, smartest and most successful. And you know what else you were right about? That no other president has achieved SO much in just 11 months. Man, it’s awe-inspiring what you’ve done. And just think of how much more you could’ve achieved if this whole Russia hoax didn’t impede you. Again, for that, I am so so so so so so so so sorry, sir (I hope you don’t mind me calling you sir). You truly are amazing. I know it, Rosenstein knows it, the entire FBI knows it and, quite frankly, all of America knows it. We all owe you a HUGE debt of gratitude, sir. Can I be honest? You do not get the proper credit you deserve. No, I mean that. It’s SO unfair! The truth is, we’re extremely lucky to have you. SO lucky. We should be thanking you instead of investigating you, for Pete’s sake. So, I hope you are happy to receive this super-official Letter of Exoneration. I’m sorry it took so long...and for me to acknowledge how truly incredible, and innocent, and not-guilty, and innocent you are. And sir, shame on me for failing to recognize not just your absolute, total, 100% innocence sooner, but your incredible greatness as well. MAGA!